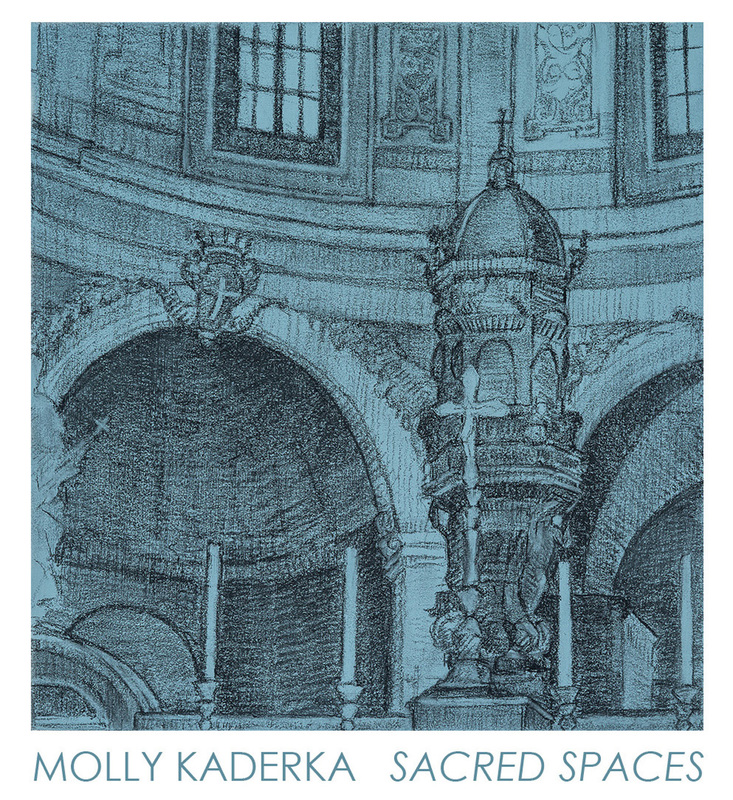 During a two month stay in Italy, Molly Kaderka spent a great deal of time in the churches and crypts of Florence – studying their interiors and examining the effects of light, time, and space. This set of small drawings serves as the record of her experience observing those spaces. The Catholic churches she frequented show the effects of hundreds of years of use – with layers of details being added over time, and composites of many architectural and artistic styles.